Welcome to the frequently asked questions about Avastar. Here we try to answer the most frequent questions about the product. Is there a support offer? Can i Recover my purchases? I have Avastar already purchased. Do i need to purchase it again? You get free updates forever for the Avastar-1 release. Your updates will be in your download folder. You can upgrade from Avastar-1 to Avastar-2. 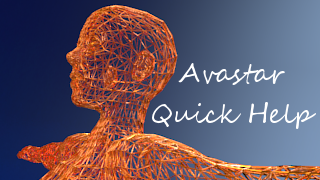 You get access to Avastar-1 and the current Avastar-2 development version. which is planned sometime around August-2017. Right after release you get updates for another 364 days. will continue to run forever. You just get no further updates. you can optionally purchase further yearly update support as long as you want. Why did you forget my purchases? So you have purchased Avastar some years ago and now you have no access to your downloads? We did not forget you! We only have changed to a more secure download system. Please create an account on this website, then register your old purchases and all is well again. Why did you break your free updates forever promise? Most important: You get free updates forever when you have purchased Avastar-1 before November 2014. Your updates will be in your download folder. But this is only for Avastar-1. The Problem: In 2014 we realized that the free forever strategy does no longer work. We do not make enough money for a living. But adding new features needs developer time for keeping things running and for adding new features and for providing customer help. And this is not doable without costs. The Fix: We decided to switch to a yearly renewal strategy. You can use the software forever, and you get updates and new features for a year after purchase. Every year you can decide if you want to keep up to date, or just live with the Avastar version that you have. Why are my tickets not answered? The primary purpose of the Ticket System is to report Errors to us. However, we try to answer every ticket. But sometimes we just can not do this because each ticket needs time. And we are only very few people here. Sometimes we receive tickets which do not contain the necessary information. We usually reject those tickets or sometimes we ask for providing the missing information. What when i am not satisfied with the product? It does not happen often, but sometimes the product simply does not fit to the user expectation. We are very proud to say that this happens so rarely that we have decided to offer a full refund until 60 days after purchase. And if you are an old Avastar-1 customer and you have upgraded to Avastar-2 at any time over the past years, then we give you a life time full money back guarantee should you ever become disappointed with our software.